BINUS equips graduates with good learning habit which is built during their study years in Binus Campus. Good learning habit is the basic skill in facing an ever tighter competition within the professional and business worlds. This was stated by Firdaus Alam PhD, Executive Dean of BINUS INTERNATIONAL (BI) and BINUS BUSINESS SCHOOL (BBS) on Best Graduate Appreciation Night held at BINUS NORTHUMBRIA SCHOOL OF DESIGN (BNSD) Campus, FX Mall 6th Floor, on Tuesday (2/12). Ferry, Firdaus Alam’s nickname, explained that Indonesia’s economy, which is considered deteriorating by a number of groups, ought not to raise doubt in graduates’ forward steps. 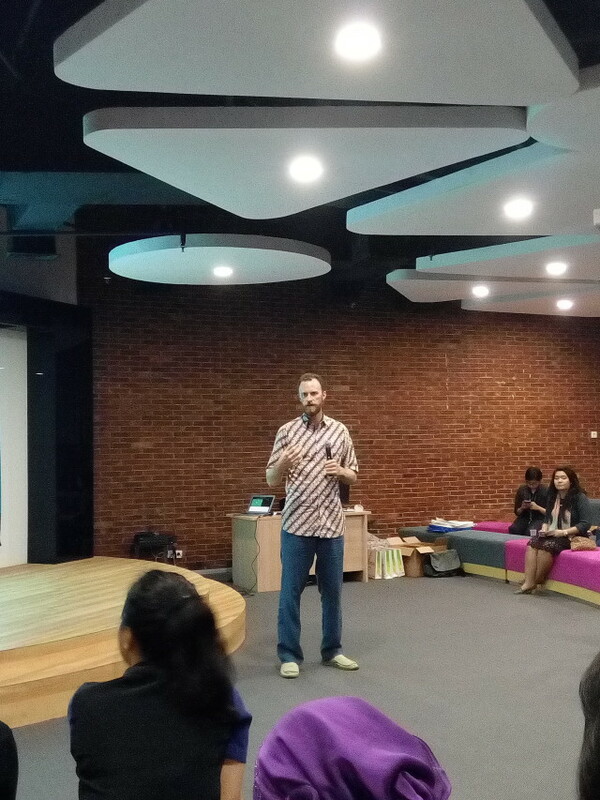 “An important thing that you bring from BINUS is the good learning habit. This is a basic skill in facing a tighter competition in the professional and business worlds,” said Ferry to BI’s and BBS’ best graduates last Wednesday night. In the future, continued Ferry, BINUS will keep on doing a lot of things to preserve BINUS’ brand as the best private university in Jakarta. 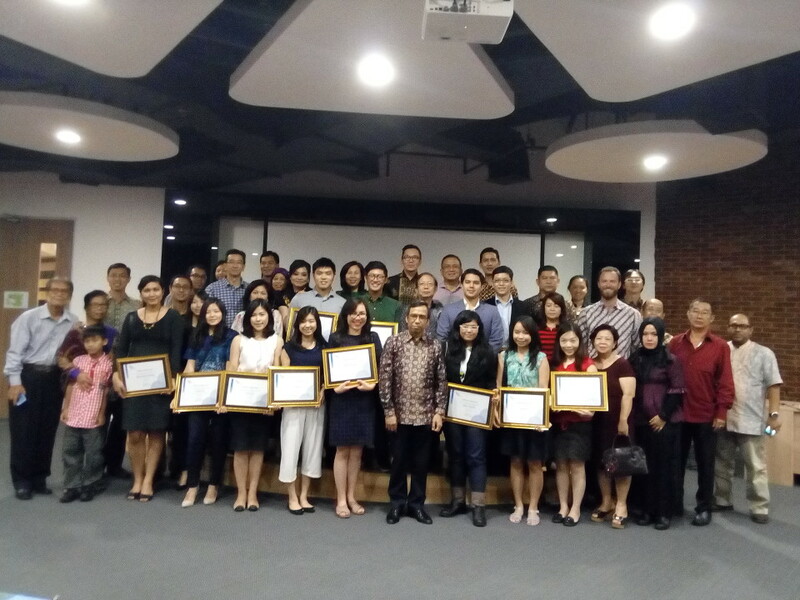 Additionally, BINUS recently received an award as the Best Private College 2015 in Bina Mutu Award 2015 organized by the Private Universities Coordinating Body (Kopertis) Region III Jakarta. “You will face very tough struggle to gain accreditation and acknowledgement,” said Ferry. For a background information, Icehouse CEO Lars Oleson was also present at the Appreciation Night and shared his experience and suggestion for ways of facing the professional and business worlds. Icehouse itself is a global mobile development company that applies innovative technology, striving for excellence, deepening the knowledge about customer in designing and building an innovative customer experience. 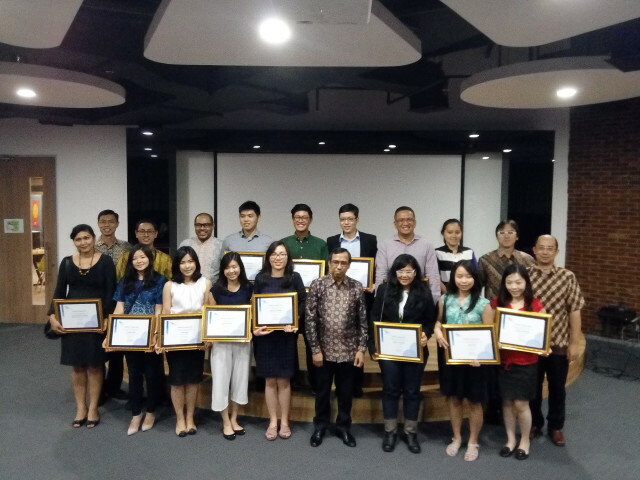 All BINUS Best Graduates with Executive Dean BINUS INTERNATIONAL (BI) and BINUS BUSINESS SCHOOL (BBS) at BINUS Best Graduates Appreciation Night held at BINUS NORTHUMBRIA SCHOOL OF DESIGN (BNSD) Campus, FX Mall 6th Floor, on Tuesday (2/12). All BINUS Best Graduates and their family with Executive Dean BINUS INTERNATIONAL (BI) and BINUS BUSINESS SCHOOL (BBS) at BINUS Best Graduates Appreciation Night held at BINUS NORTHUMBRIA SCHOOL OF DESIGN (BNSD) Campus, FX Mall 6th Floor, on Tuesday (2/12).